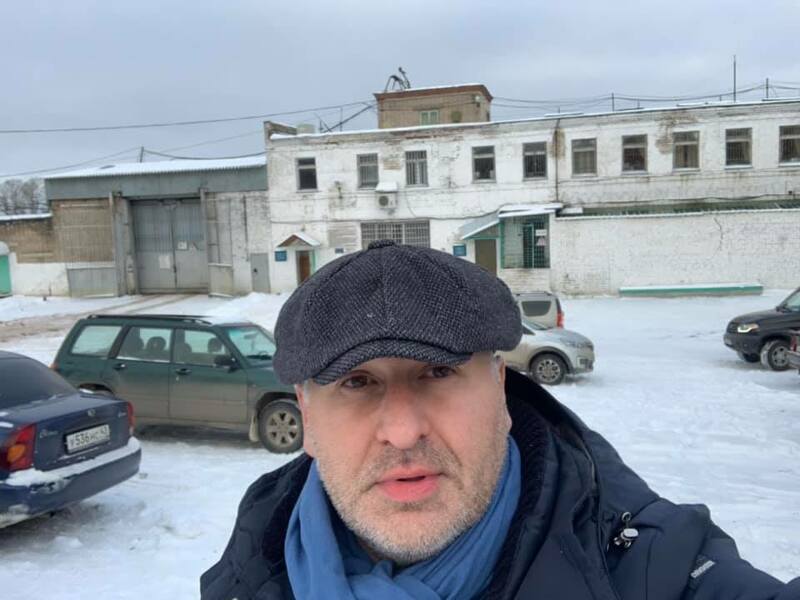 On November 23, Mark Feygin, a public defense lawyer for Ukrinform journalist Roman Sushchenko, as well as his lawyer, visited their client for the first time after he was moved to the colony in the Kirov region of Russia. 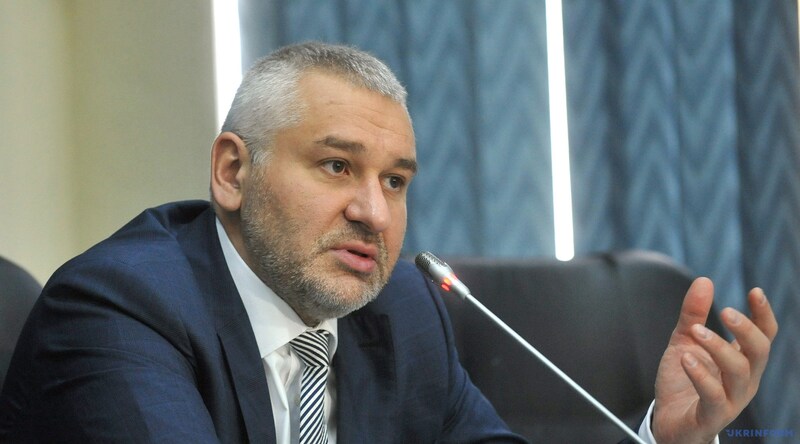 Feygin spoke in an interview with Ukrinform about the journalist's detention conditions, what problems he faced in a new place and to which address letters can be sent to the Ukrainian political prisoner. Question: How did the transfer take place, and how did Roman Sushchenko go through it? Answer: I must say that prison transfer, in principle, is very difficult not only for Roman, but also for all prisoners. Nobody created any special conditions for him. He traveled like everyone else. After Matrosskaya Tishina (the prison in Moscow to which Sushchenko was sent from Lefortovo), he was transported for two days to Kirov in a second-class "Stolypin car." In a train compartment designed for four people, there were eight traveling with their things. In the transfer prison in Kirov, Roman lived with mould, cockroaches, and mice. Now he is recovering from the transfer. 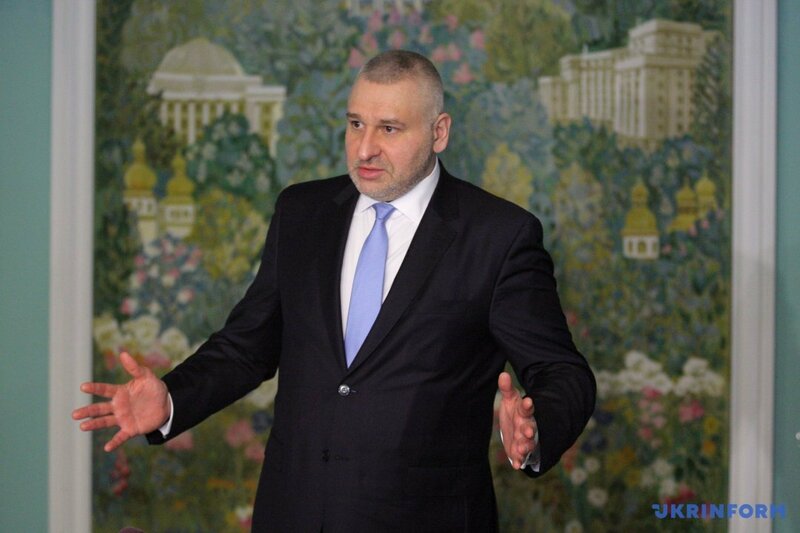 Q: You visited him in the colony in the Kirov region. What does it look like? A: On November 23, I, as Roman Sushchenko's representative at the European Court of Human Rights and public defender, and his lawyer visited our client in the colony for the first time. Penal Colony No. 11 (IK-11) is located in the village of Utrobino, close to the town of Kirovo-Chepetsk in the Kirov region, located a little over 50 kilometers from the regional center, Kirov. The order in the colony is strict; it is called a "red" or "police" colony, as they say in our country. This means that former law enforcement officers are serving their terms here. Q: And how was the meeting with Roman himself? A: In the morning, upon arrival at the colony and waiting for the IK-11 head, Roman's lawyer had a meeting with his client. It was held in a special room in a respective administrative building. The meeting was confidential and lasted two-and-a-half hours. I stayed outside. Q: You are not allowed to visit him, are you? A: No. According to Part4 of Article 89 of the Penal Code of the Russian Federation, a lawyer or other person providing legal assistance to a convicted person is entitled to a meeting with a convict, and I was supposed to be let in. But the head of the colony did not know how to do it. He consulted with the directorate of the Federal Penitentiary Service (FSIN) for the Kirov region, made inquiries and phoned to Moscow. Given that Friday is a short day there and everything was done for a long time, they told me: "We, in principle, understand that such a clause exists, but we do not know what to do. We will be ready to resolve this issue before your next visit, once we get all the clarifications." It will be resolved in December. Ukraine's consul and a member of the public monitoring commission for the Kirov region visited Roman earlier. Q: What is known about his living conditions? A: After arrival in the colony, after quarantine, he was immediately sent to a "safe place." Roman is not engaged in forced labor - it is his right. He refused to do so, because he is a foreign citizen and is not obliged to work in a colony. A clause of the European Convention on Human Rights applies to him. Q: Please explain what a "safe place" means? A: A "safe place" is the same as a cell-type room in which they keep perpetrators and those who need to be protected from any threat. This is a formal reason. Roman will stay there for 90 days. The same happens to Vyhovsky [another Ukrainian political prisoner Valentyn Vyhovsky, who also stays in IK-11]. He sits in the same adjacent cell. Roman will stay in a cell-type room for three months. If nothing happens at the political level over this time, this term will most likely be extended for a further 90 days. He was not moved to the dormitory, he did not spend a night at the general barracks. Q: What is the attitude of the staff of the colony to Sushchenko? A: There's no physical pressure on him. The colony itself causes some anxiety. In my opinion, it is in very bad condition. It lacks many things. It is located in the Kirov region, where it's cold. It was minus 8 degrees Celsius, and it was snowing. The temperature inside a cell-type room is 18 degrees Celsius. Roman ordered one more blanket in the colony shop. Q: Ordered? Don't they give blankets in the colony? A: Yes, Roman bought it for 750 rubles [about 315 hryvnias]. Two blankets cannot be given to convicts, this is not allowed. Q: Could you describe Roman Sushchenko's daily routine? Is it different from the one in Lefortovo? A: Yes, it is different. Sushchenko is now a convicted person. The light is turned on in the cell at 05.00, a wake-up is announced, and the lights-out time begins at 21.00. Naturally, there are no TV and refrigerator in a cell-type room. There are no sockets at all. It is impossible to lie on the bed in the afternoon; he either sits or stays all day long. Roman caught a cold and stayed in bed for two days. The doctor gave him permission for bed rest. He does exercises separately from others; there are walks. It is also possible to abandon them. Twice a week, he can take a bath without a time limit. Yes, it's strict. Roman was given a pastel, he draws. Now he reads the books that he brought with him from Lefortovo. The issue of newspaper subscription is being solved. Q: Can he be moved a cell with better conditions, where there are at least sockets? A: We are working on this. As far as I understand, there are only two cell-type rooms in the colony. You know, the colony is a big industrial shop. It takes a minute to make a socket. Warming the windows, cleaning, painting - it all can be done. However, the prison administration is trying to strictly comply with the law. It is afraid of improving the conditions. It is not written that a cell-type room should have a socket, so they are not doing it. Unfortunately, much cannot be done in IK-11 due to the mode of the regime. But I think that this should be done, because Roman is a foreign citizen. He is not to blame that we have such bad prisons and, in the end, he can be provided with minimum detention conditions. Sorry, a socket and boiling water are not some kind of luxury. Q: You said that they get up at 5 o'clock in the morning, but why so early? A: Such are conditions in a cell-type room. Everything is different in the general dormitory; they wake up at 06.30 there, they can use sockets, TV, refrigerator. Cell-type rooms are for violators, they are all deprived of it. But Roman did not violate anything. He was placed there simply to provide him with security. He is limited in his rights just like a person who was sent there for some kind of violation. We have to solve this issue. If he was transferred to a "safe place" not from his own will, then he needs to be provided with the same conditions as in the dormitory. Q: Does Roman Sushchenko have the opportunity to call his relatives? Q: We've solved this issue now. We transferred money to his bank card. There is a special application using which, after a respective statement is submitted, he will be able to talk with close relatives, consul, and lawyers. I think that Roman will be able to order calls next week. He has the right to do so, but let's see how it is implemented. Q: Does he also have the right to have meetings and get parcels? A: There are restrictions envisaged by a strict regime. They concern money that can be transferred and parcels - three per year, each weighing 20 kilograms. As for the meetings, there can be a short meeting every three months, as well as the same number of long-term meetings with loved ones. Roman is looking forward to meeting with his family. We are currently dealing with the medicines that Roman asked for. They were prescribed by his doctor. I brought them with me, but I was denied to pass them, because it was necessary to provide certificates and checks with stamps on them. We will do this. Q: What will happen to Roman Sushchenko next? Will he stay in the colony for all these years? A: The case concerns the political side. Of course, Roman hopes very much that negotiations about his fate will lead to a positive result. No one is going to spend ten years here. In fact, the issue is in the political plane, there is no need to cherish the illusions. The solution depends on Putin. Whether Putin resolves this question is not in the powers of lawyers or consuls. This is solved at the highest level. We understand that. And Kyiv clearly speaks about it. Q: Does Roman Sushchenko know that Ukrainian President Petro Poroshenko awarded him the Order For Courage? A: Yes, he learned about being awarded this order. 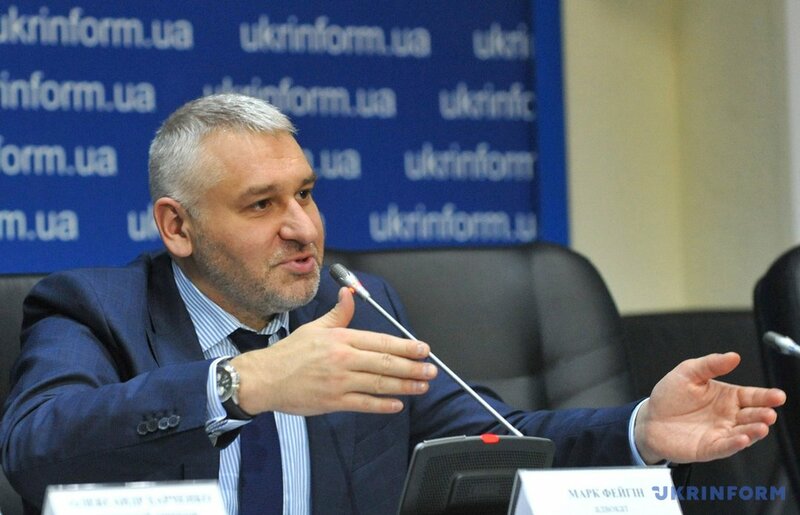 This is his deserved award as a journalist, correspondent of the Ukrinform agency, as a person who has steadfastly gone through these two years. Let me remind you that Roman is one of two political prisoners who did not acknowledge their guilt. He stood firm in custody. This does not mean that other Ukrainians behaved not the way they had to. Heroism has obvious signs in this sense. 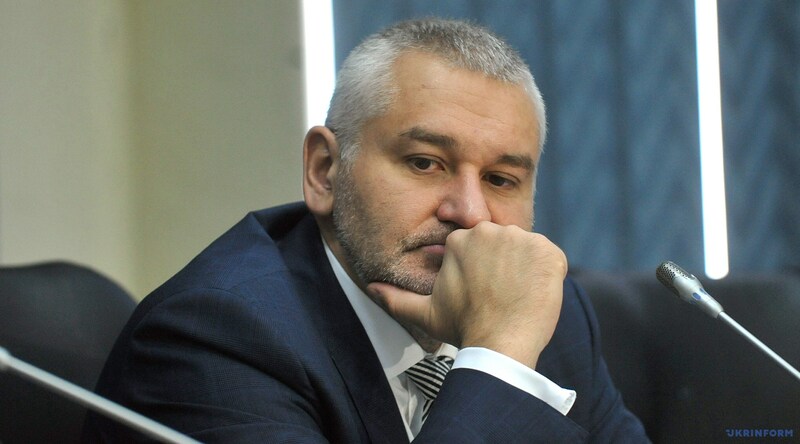 Both Sentsov and Sushchenko are Ukrainian political prisoners who firmly adhere to their position, and I believe that such people are worthy of awards. All letters should be sent in Russian; otherwise, they will be censored. It is not necessary to send books and parcels, since Sushchenko has a limit on parcels.